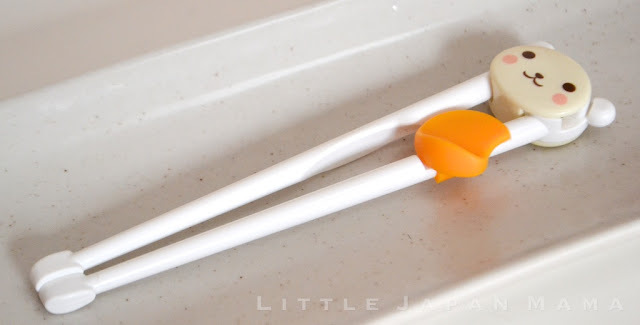 These are definitely the easiest chopsticks for little kids to use - even my 2-year old son can use them. A cute bear is the guide who holds the hinge at the top. The tips are large and flattened to make it easy to pick things up. The orange-coloured part is a thumb-rest. The other chopstick has a widened flat part for holding between your index and middle fingers. Done that? You've got it! 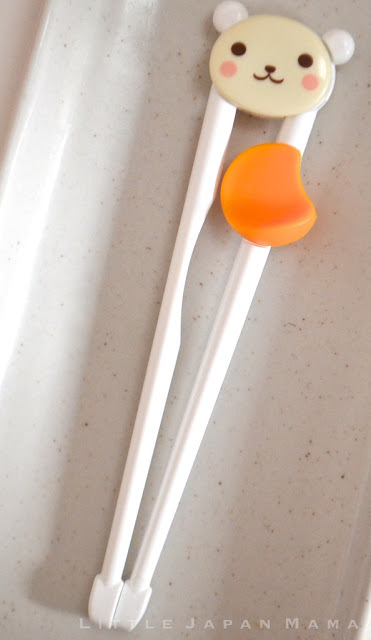 My 3-year-old has been very picky about his food recently, but he got really excited when I gave him his new chopsticks. He demanded that I give him back the lunch he had rejected, and he ate it all up! Thanks for such a cute product! :-) Kawaii!!!!!!!!!!!! I NEED to order!